Will there be a New Tengiz in Kazakhstan? The situation around the sale of the share of the American ConocoPhillips in the North-Caspian project (8.4%) is entangled more and more. As it was earlier declared that Kazakhstan will decide the fate of the share on 25 May 2013, the Minister of Oil and Gas of the Republic Mynbayev announced on May 22 that the date is being moved to the beginning of July. "The decision [of the State Commission - Petroleum] is from July 2," – Mynbayev told Reuters, without giving reasons for the delay. We remind that ConocoPhillips at the end of November 2012 had officially notified the government of RK and the project partners of its intention to sell its share to India's ONGC Videsh Limited. The deal is estimated at $5 billion. Meanwhile, in April this year, S. Mynbayev did not exclude the possibility of selling the share of ConocoPhillips in the project to a Chinese company. Moscow and many Kazakh experts believe that a tidbit in Kashagan is likely to be given to the Chinese. Moreover, despite the amount of reserves of Kashagan, a share of 8.4% is too small for domestic demand of China. Therefore in this context the information from the source agency KazTAG in Beijing that the Chinese companies targeted at three oil projects: Kashagan, Abay and Nursultan sounds logical. Let's look at the pre-history. In mid-April 2013, Bloomberg, citing unnamed sources, reported that Kazakhstan itself is considering an opportunity to buy a share owned by ConocoPhillips, with the value $5 billion, before making a decision to sell it to the Chinese company. "Kazakhstan has not made such a decision, but it is very likely to be," the Minister of Oil and Gas then said. Besides, he noted that "China, of course, shows interest”. “We are trying to define our position. The Chinese side does not acquire for a long time additionally those unplanned volumes of oil, which were supposed to be transported to the Chinese side, it tries to increase somehow these volumes, possibly by acquiring the share in Kashagan," the Minister said. He stressed that Kazakhstan has, "a lot of counter conditions. For now there is no final decision ". The Minister refused to say who exactly in China shows interest in Kashagan. KazTAG sources in China point at two companies: CNPC and Sinopec, whose experts know Kazakhstan's subsoil not worse than local oil companies. Earlier, on January 25, 2013, JSC KazMunayGas bought from ConocoPhillips 24,5% of the developing of Nursultan block. Now, 75.5% of the project belongs to Kazakhstan, which had not previously encountered independent development of fields in the sea. The remaining 24.5% is owned by Mubadala Development Company. This Arabic company, whose owners also do not have such an experience, because in the Persian Gulf American and European contractors are working on these deposits. 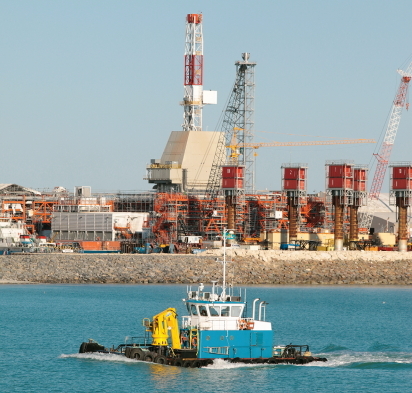 Nursultan block is located 30 km from the south-western shelf of Aktau on the Caspian Sea. Geological reserves of the project are estimated at 630 million tons, 270 million tons are recoverable reserves. The depth of the sea here comes up to 340 m, but the most promising areas are Nursultan and Rakushechnoye Sea, covered with the water column between from 29 and to 47 meters. As for Abay Block is concerned, in February 2013, S. Mynbayev said that Kazakhstan will develop it with new partners because the Norwegian company Statoil drops out of the project. Foreign mass media reported that Statoil simply could not reach an agreement with Kazakhstan government about development conditions, which suit the company. Mynbayev, however, kept silent regarding which country Kazakhstan started negotiations with on Abay project immediately after receiving notification from Statoil in mid-2012. Abay area is located in the northern part of Kazakhstan's sector of the Caspian Sea at a distance of 65 km from the coast at a depth of 8-10 m. Preliminary reserves in the area amounted to 387 million tons (2.8 billion barrels) of reference fuel. ConocoPhillips immediately announced that it wants to sell its 8.4% in Kashagan to Indian ONGC Videsh Limited for $5 billion. And it made a strategic mistake: it should not have been assumed that the Kazakh deposit can be easily resold without the approval of the host country. Especially when the Celestial Empire shows interest in the deposit. For 10 years, since 2003, Chinese companies are considering various options to acquire not less than 35% in Kashagan (and ideally, more than 50%), but this will be possible only in the next Five-Year Plan of PRC. It's not about funds - China can now buy even 200% of Kashagan - the thing is about the strategy of gradual absorption: inevitable and inexpensive. China, except for Caspian, has interests in other oil-rich regions of the planet. To represent opportunities of the Celestial - in 2012, the volume of mergers and acquisitions of Chinese companies abroad totaled $ 65.2 billion against $ 10 billion in 2008. 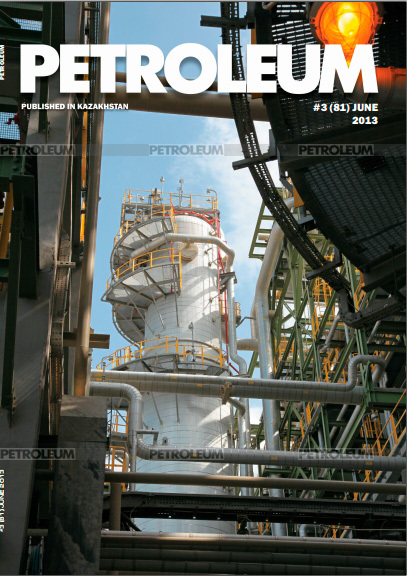 As Petroleum reported earlier, the reason for delaying negotiations on Kashagan by Indian ONGC Videsh Limited with Kazakhstan government was a nonconcurrence of opinions with the Indian investor about a totally different project – the construction in Kazakhstan from at the expense of own investments of a high-tech plant in the sphere of biotechnology. Emergence of a conflict between Kazakhstan government and the Indian company was on hand to the third party. Of course, the Chinese ... It’s impossible to suspect the Indian private company in ignorance of the basics of negotiating strategy, but the managers of ONGC did not take into account that behind Chinese companies there is the strongest country in the world and one of our largest creditors. Sun Tszy, a famous Chinese strategist, said: "According to the rules of the best warfare: to keep the state of an enemy in whole. Therefore, the best war is to break plans of the enemy; the next step is – to break its unions." This chapter is called like this - "Strategic attack".